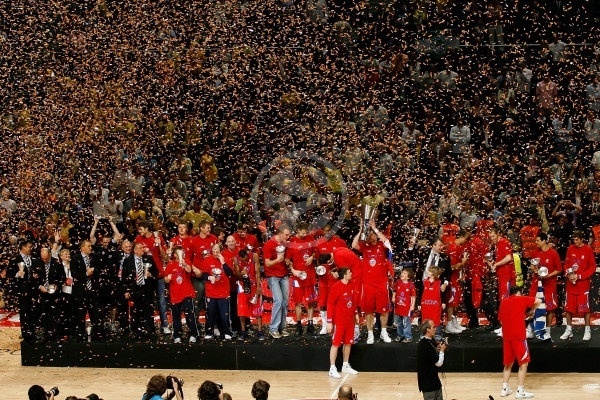 CSKA Moscow wrote another chapter in its illustrious Euroleague Basketball history by defeating Maccabi Tel Aviv 77-91 on Sunday night for the 2008 Euroleague title – its sixth continental championship crown and second in the past three years. 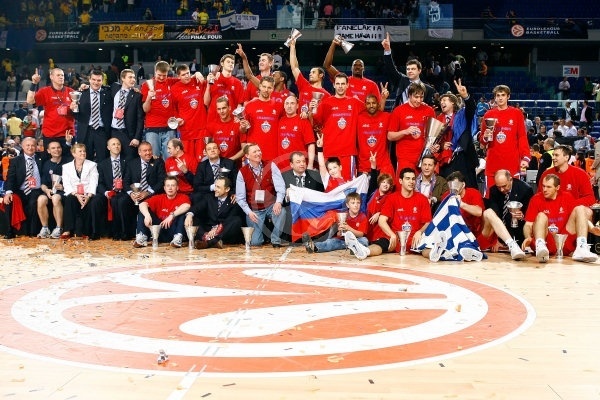 CSKA's victory over Maccabi at the Community of Madrid Sports Palace in the Spanish capital moves the Russian powerhouse into second place on the all-time list behind only Real Madrid's eight crowns. 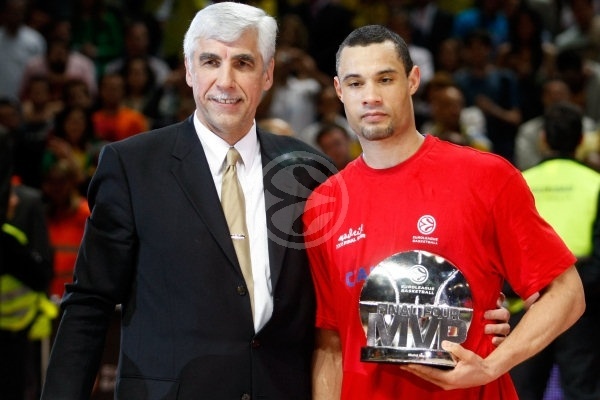 Trajan Langdon was named Final Four MVP after posting 21 points on 4-of-5 three-point shooting and 7 rebounds to lead six CSKA scorers in double figures in victory. J.R. Holden added 14 points, Matjaz Smodis, David Andersen and freshly crowned Euroleague MVP Ramunas Siskauskas scored 13 points apiece and Theo Papaloukas added 12 to give the Russian champs another title to add to their trophies from 1961, 1963, 1969, 1971 and 2006. 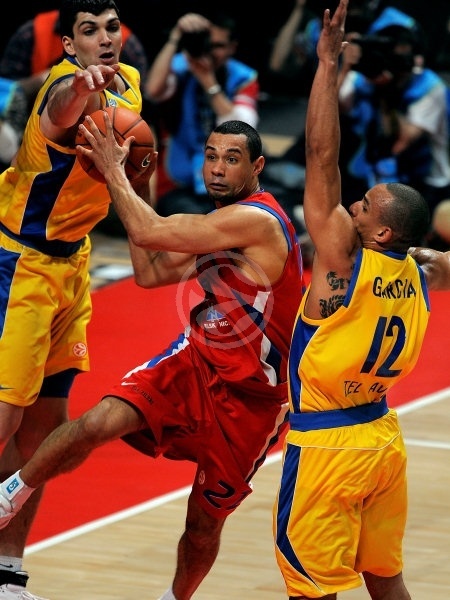 CSKA also defeated Maccabi in the 2006 final in Prague. 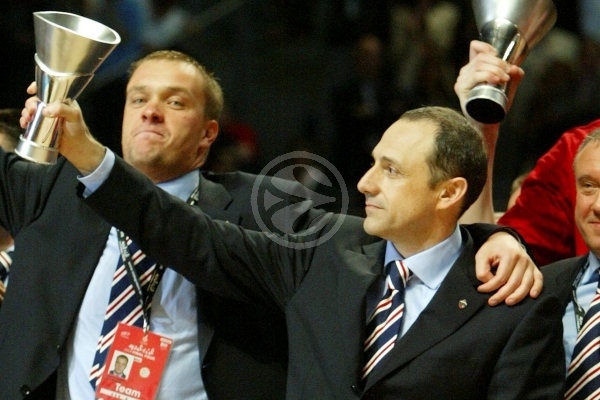 Head coach Ettore Messina, who before the game announced that he had re-signed for another season in Moscow, won his fourth Euroleague title, moving into a tie for second place all-time with legends Pedro Ferrandiz, Alexander Gomelskiy and Bozidar Maljkovic, all of whom trail only Zeljko Obradovic of Panathinaikos. The game was a close affair for the first half, which ended with CSKA ahead only 41-42. CSKA started to pull away thanks to its defense in the third quarter and a 0-10 charge to start the fourth settled things early. Will Bynum paced Maccabi with 23 points, Esteban Batista added 14 and Terence Morris 13 in defeat. Maccabi head coach Zvi Sherf opted to give Bynum his fourth start in 24 games to go against Holden as the game got underway. 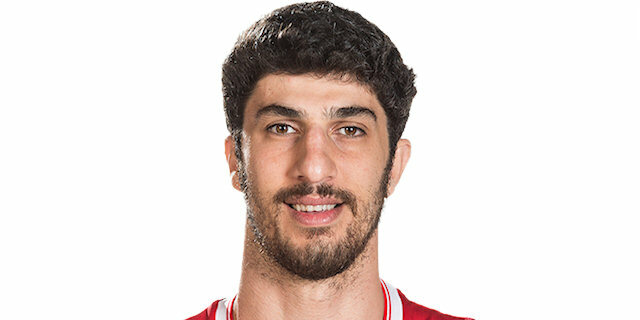 Nikola Vujcic was first to score on a five-meter jumper and then he fed Omri Casspi for a three-point play, good for a 5-0 Maccabi lead. CSKA missed several open shots in the opening minutes until Langdon sank a corner triple. He followed it with free throws to tie the game at 5-5. CSKA was its usual self on defense and while a left-handed layup by Andersen gave his team its first lead, 5-7. Casspi scored in the low post, but Siskauskas answered with a second-chance layup. Bynum provided a highlight with a power layup – and the free throw that came with it. Smodis tied the game with a free throw as CSKA became more aggressive at both ends now. Papaloukas checked into the game and then back-to-back three-pointers by Holden and Langdon gave CSKA a 10-16 edge. Morris answered from downtown before Andersen broke the 100-point barrier in his personal Final Four history with a turnaround jumper. Casspi continued his strong start for Maccabi with a driving basket, but he and Bynum missed free throws. 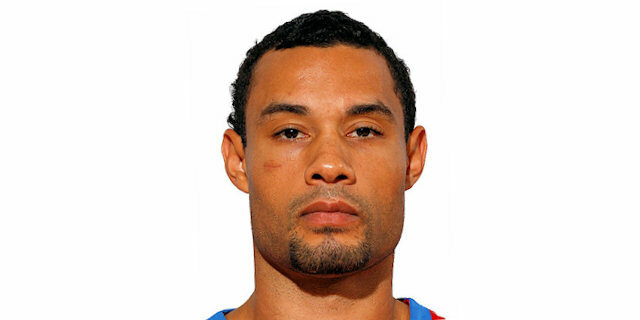 Marcus Goree made both attempts for CSKA to make it 15-20. 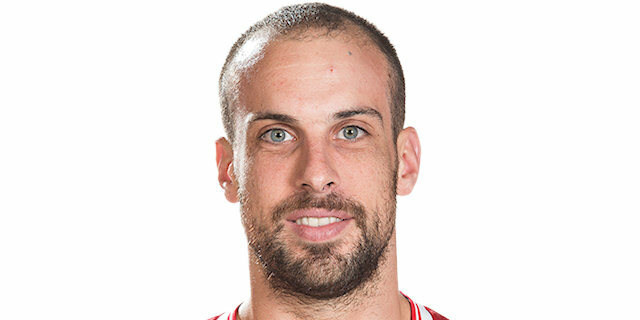 Batista came in and shined with a power layup and soon added free throws to get Maccabi within 19-21. Morris scored in penetration, but a free throw by Papaloukas gave CSKA a 21-22 edge after 10 thrilling minutes. Batista got the crowd involved with a big put-back layup, but Andersen immediately answered with a six-meter jumper. Morris took over with a driving layup that put Maccabi back ahead, 25-24, early in the second quarter. Papaloukas buried one from downtown, but Batista stayed unstoppable with a reverse layup and a tip-in to restore a 29-27 Maccabi edge. 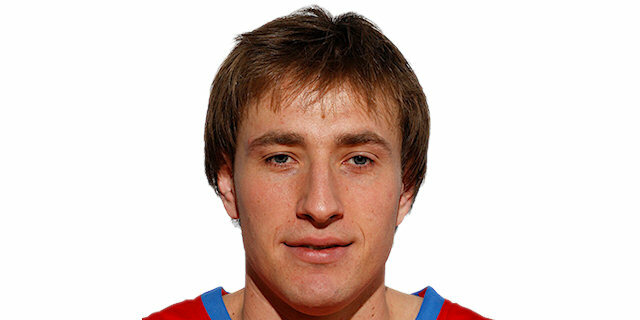 Smodis shined with a three-point play as CSKA had managed to readjust its trademark man-to-man defense. Langdon sank his third triple in as many attempts, causing Maccabi to call timeout at 29-33. Bynum stepped up with an acrobatic basket, which Holden matched with a floating layup. CSKA tried to get Siskauskas involved in one-on-one situations against David Bluthenthal, but it was Langdon who sank yet another bomb from downtown for a 31-38 lead. 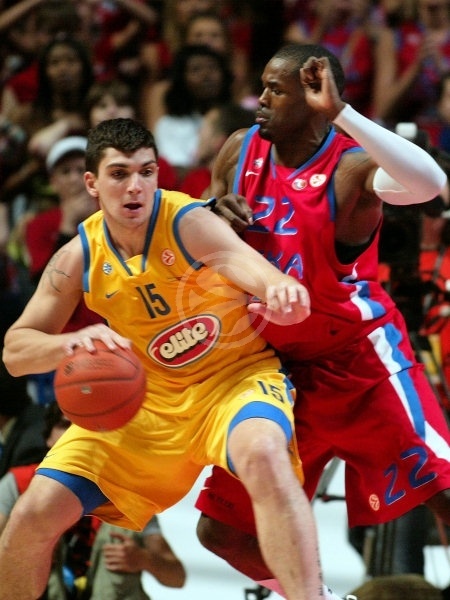 Bynum made foul shots and added a wild driving layup to bring Maccabi back to life. 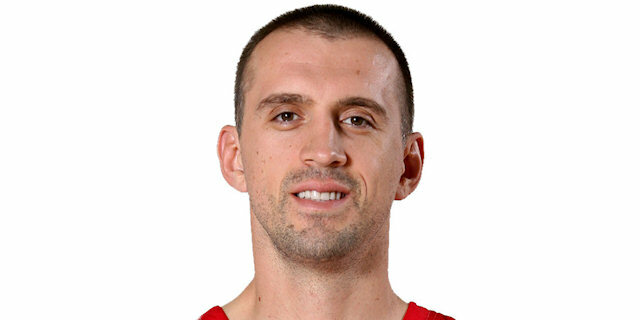 CSKA called timeout to change its game plan, as Siskauskas was not finding space on offense and returned to the bench. Bluthenthal, now guarding Papaloukas, downed an open three-pointer to cap a 7-0 run and ties the game at 38-38, but Smodis’s free throws soon put CSKA back ahead. Papaloukas ran the length of the court for a layup and Maccabi called timeout to get ready for the final play. Bynum sank a three-pointer and got fouled, but missed the additional free throw and the score settled at 41-42 for a slim CSKA edge at halftime. CSKA tried to slow down the tempo after the break and a three-pointer by Holden gave his team a 41-45 edge. Holden struck again from downtown to make it a 7-point game. 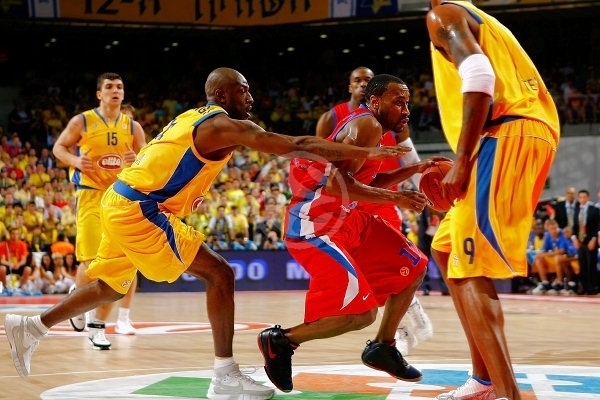 CSKA started to face severe foul trouble, however, as Goree and Smodis had committed 3 apiece. Bynum made free throws, but Andersen immediately answered with an easy basket. Maccabi started to have trouble rebounding at both ends, while CSKA tried to run its offense through Langdon without much success. 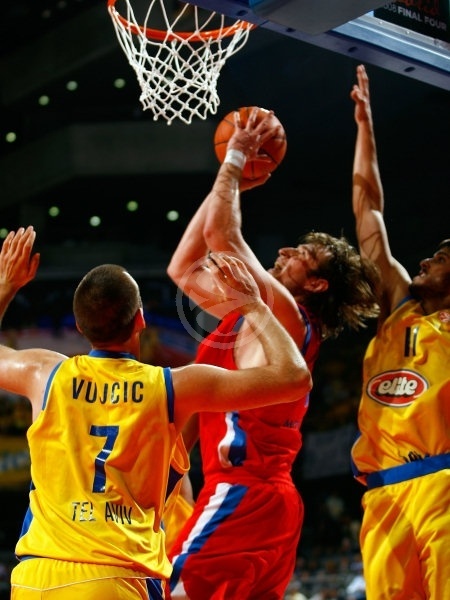 CSKA excelled in defense though, making Maccabi miss one tough shot after another. Meanwhile, Andersen buried another turnaround jumper for a 43-52 CSKA margin. 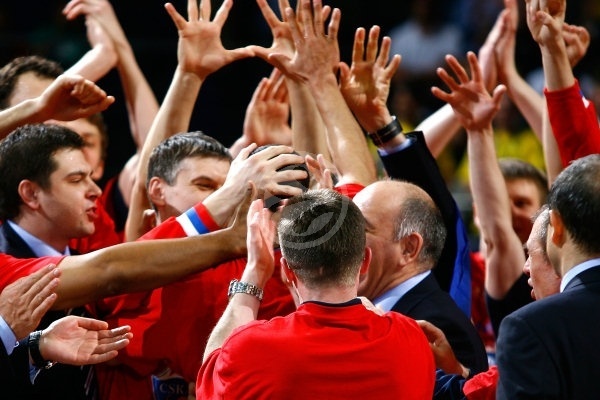 Bynum tried to ignite his team's comeback with free throws, but Langdon kept CSKA in control. Batista scored in penetration, but Andersen immediately answered from downtown. Batista did not miss from the foul line, however Tomas Van den Spiegel came in and got the CSKA fans involved with a two-handed dunk, causing Maccabi to use a timeout at 49-58. Bluthenthal nailed a fade-away jumper, but Alex Garcia missed an uncontested layup. 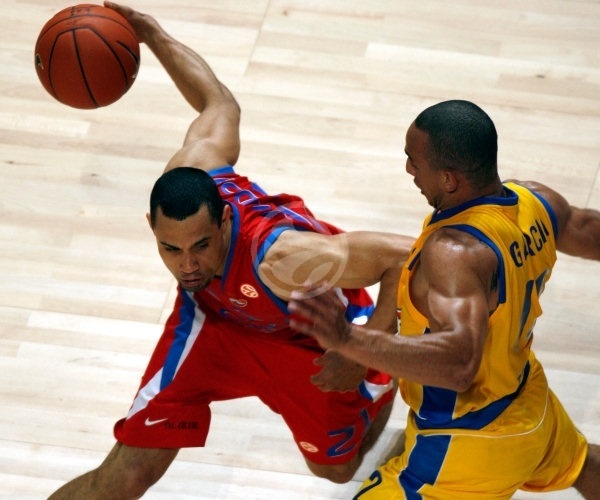 Langdon kept pacing CSKA with free throws, but Morris got Maccabi within 52-60. Casspi committed an unsportsmanlike foul from Van den Spiegel and his free throw gave CSKA a 52-61 edge. 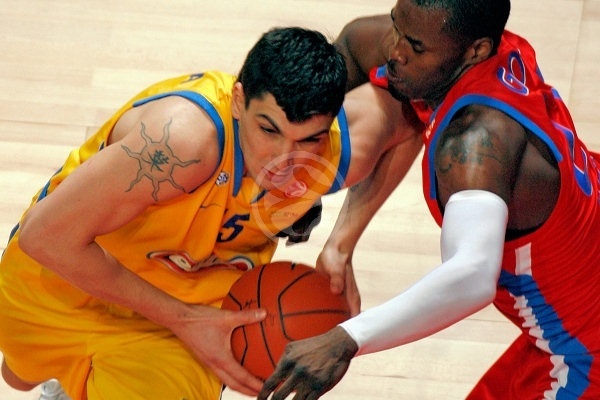 More foul shots by Casspi and Siskauskas and a three-pointer by Bynum fixed the score at 57-63 after 30 minutes. CSKA tried to put the game out of reach with a Siskauskas three and its typical hard defense, however while Maccabi struggled to score, it was up to the challenge on defense. Yotam Halperin made his first appearance of the second half, but it was to no avail. Smodis free throws gave CSKA its first double-digit lead and then the star forward drilled his first three-pointer of the Final Four after 10 misses, giving CSKA a 57-71 lead and prompting an urgent Maccabi timeout. But it was to no avail, as Smodis and CSKA continued to pull away. Bynum finally ended a four-and-a-half minute scoring drought with a layup, but CSKA had already scored 10 unanswered points in that stretch. A Garcia layup gave the Israeli fans hope and another acrobatic Bynum drive made it a 10-point game. Siskauskas free throws put CSKA up 63-75 with just over three minutes to go and then a Langdon follow-up signaled the start of the CSKA fans’ celebrations. Papaloukas got his points in as the final minutes played out and the outcome was clear. 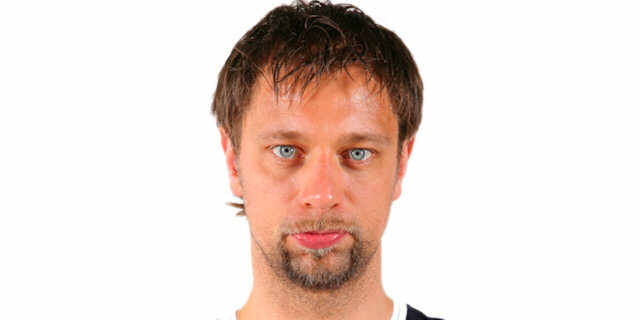 "I'm so happy for all CSKA people, the fans and ourselves. It was a tough season, but I think we played a tough Final Four from a mental point of view. Tonight we faced a great Maccabi, but we had the character to never panic and to wait for our moment. I have no problem saying that for the first two quarters of the semifinal, I was completely out of the game because I was touched in an incredible way by the ceremony. To have lunch and breakfast around these fantastic people of the history celebration was, for me, like a dream. To win this with them here was even better." "The second place isn't enough for any of us. It's no fun to lose in the finals. We knew CSKA is an excellent team. We lost some focus in the second half, and I think that everybody fought hard and did their job. We need to be happy that we finished second in the Euroleague despite all the problems we suffered during this tough season." "We'll never admit that they are better than us. They were better than us tonight. That's all. We killed ourselves tonight, made too many mistakes and did more mistakes than we usually do. 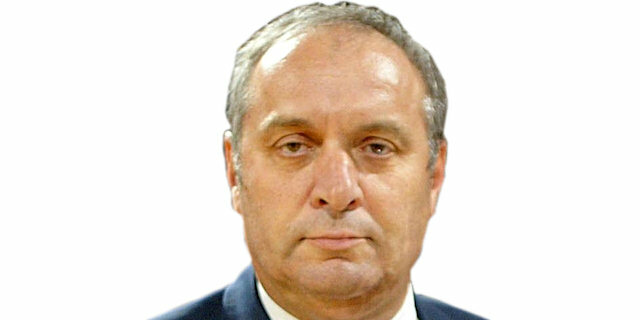 We didn't want to finish our Euroleague season like that. They made a run in the third quarter and we missed some shots while allowing them some easy ones. We made too many turnovers in the second half, allowed them to have second chances and that's what won the game for them." "The shots from outside didn't go in and I think we just played into their hands. We took the shots they wanted us to take, the put pressure on us and that was it. In the first half we were still in the game, but in the second they put more pressure and the long distance shots didn't go in. We played smarter in the first half. In the finals there's no space to fix your mistakes, and we'll try to find the path to win the title next year. If our long distance shots would have fall in things would have been different but that allowed them to thicken their inside defense and that made it more difficult to score." "They played good tonight. We missed a lot of shots and they deserved to win. Of course we believed we could win this game. We had the faith, it just wasn't our night. We'll wake up tomorrow and and fight again for another win." "I knew they will try to be physical with me under the basket. They were better today. I'm sad but also proud of my friends. A lot of things didn't go in our way, especially in the second half. They hit some big shots and that made a difference. We tried and everybody gave the best they have. I don't know if it's my last Euroleague game with Maccabi. We'll have to see about that. We lost to a great team." "It's heart-breaking to lose in the finals of the Euroleague. We've come such a long way to make it here. We had to get over injuries, home losses and almost everything in the book, but we made it here. We are very sad but also proud of what we have done this season. Our fans deserve a cup, and we apologize we couldn't provide it for them. 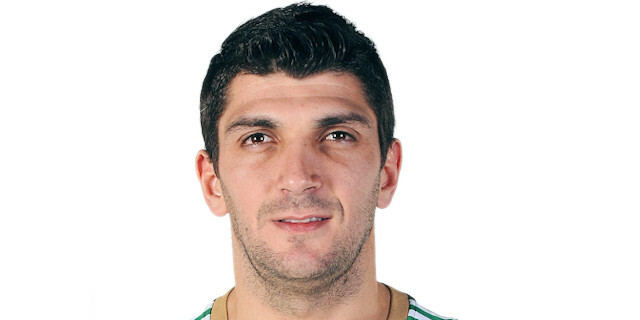 CSKA deserve the cup and I want to congratulate them. We'll try to come back next year and win the cup in Berlin 2009." "I feel great, mate. This is what it's all about, getting a win in front of all these Maccabi fans for all the CSKA fans here, all the red army. We got in control and started working a bit more on offense, and our defense really started to tighten up and stopped them getting the shots they wanted. It was a great team effort. It's always been great core of guys. We have great group that works well together well and we all get along off the court, too, so it's no surprise that we won. We always had faith and it paid off." 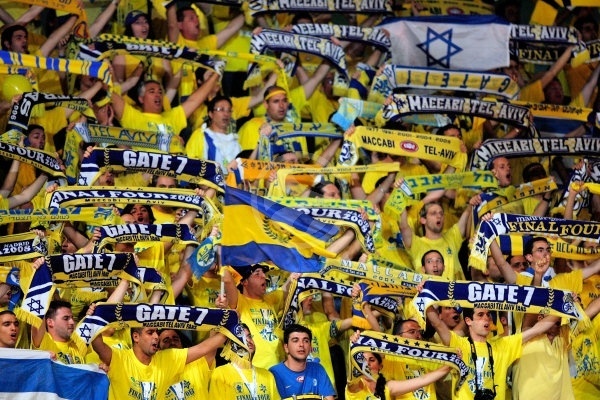 "Honestly, I thought it was Maccabi's turn this time, just because of the numbers. I was more afraid of this game than the one two years ago. In that game two years ago, they were the team to beat. 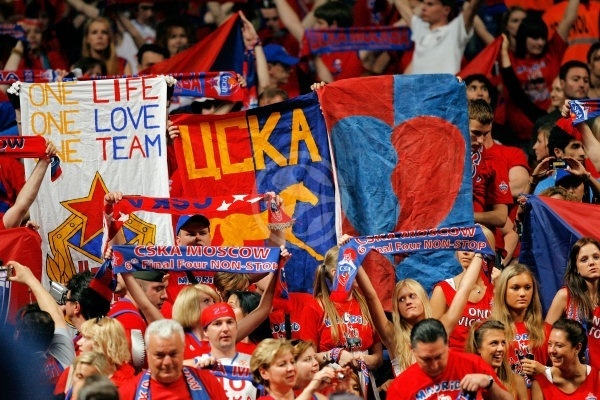 This year, everybody was saying 'CSKA is going to win it, CSKA is going to win it'. And it was tremendous pressure, especially in the playoffs and the last two games here. I think this team has shown once more that it is built to win. It has character. Even on bad days for a player, other people step up and get the job done. I've got three kids, three boys, and this is my third title - one for each. The sweetest dreams came true for me today." 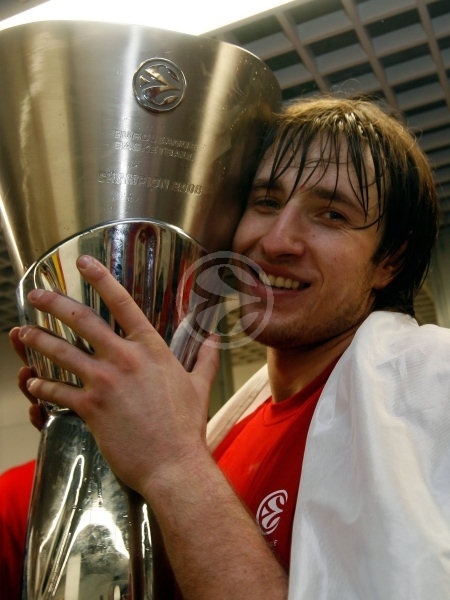 "It has a special meaning to be champion with 50 years of Euroleague being remembered and with the champs of all-time watching makes it even better, as well as beating Maccabi in the final, and that rivalry being a classic. Even if you were writing a film, you could not make a better script. This has gone beyond perfect,"
”This is my first Euroleague title and I hope it is the first one of many, many more to come! 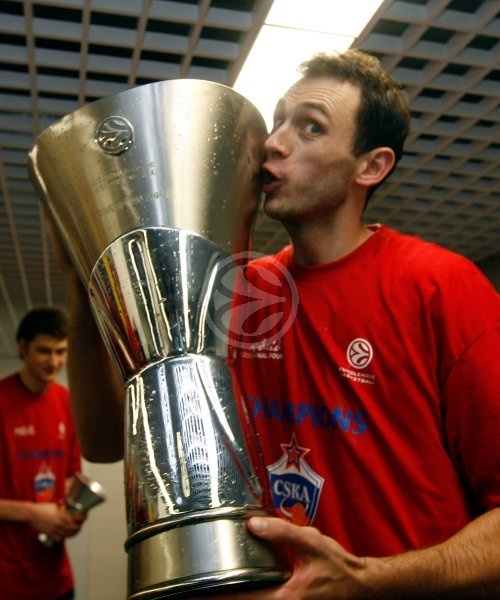 I have played in the Euroleague for many years already, so now it is great feeling to win the championship with CSKA. This is my for my family, friends and also for everybody in Moscow and Russia."